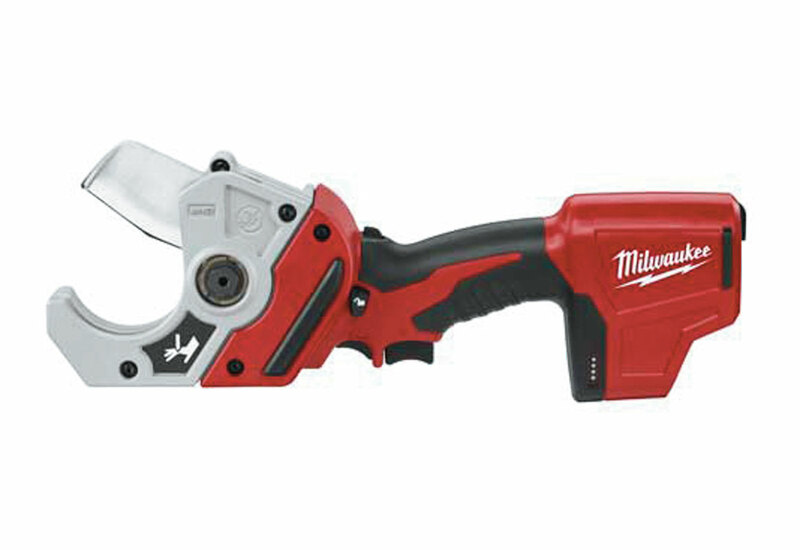 The Milwaukee Plastic Pipe Shear M12™ (Tool Only) (2470-20) cuts faster, cleaner, closer and longer than traditional shears, with more than 200 cuts on a single charge. The powerful motor saw can slice through 2” schedule 40 PVC in just three seconds. The shear's variable speed trigger delivers controlled cuts regardless of the temperature. The ultra-sharp 3mm stainless steel blade with pierce point makes clean, burr-free cuts, and provides a quick return for fast repetitive cuts. It also has an aluminum jaw that's resistant to impact, water, and rust, which extends its life. 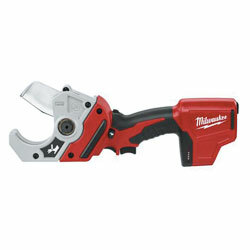 The quick-return mechanism saves you time when making repetitive cuts. If there is PVC mounted to a stud or close to a wall or the ground, it is no challenge for the offset blade. There is an all-metal planetary drive delivers more than 200 cuts per charge. There is convenient offset blade that facilitates cutting of PVC in walls, close to walls, or in the ground. The REDLITHIUM™ battery technology has superior pack construction, electronics, and performance deliver more work per charge and more work over pack life than any battery on the market.